The big questions parents have when considering cord blood and cord tissue banking are why should they bank and is it worth it. While some parents may choose banking because of their family history and others may choose it for added peace of mind, the underlying reason is to help ensure their child’s and family’s future health and well-being. Why to bank cord blood and why to bank cord tissue are ultimately medical decisions based on the relatively recent discovery of where to find and isolate stem cells and the growing use of these stem cells in the treatment of diseases. Cord blood and cord tissue contain an abundance of stem cells that can easily be collected and banked (cryopreserved) in the event that they are needed later in life. Cord blood is currently used in the treatment of more than 80 diseases. For instance, when someone contracts a disease that must be treated with chemotherapy or radiation, there is a high probability of a negative impact on the immune system. A particular type of stem cell found in cord blood is used to bolster and re-populate the cells in the blood and immune system. Leukemia is a disease where chemotherapy is often used to rid the body of the cancerous blood cells, but it takes its toll on the body’s normal blood-forming cells, too. Stem cell transplants infuse the body with the blood-forming cells it needs to recover, effectively replacing the old cells with new, healthy cells. It was soon after that first transplant that some of the first private cord blood banks were established to provide parents the opportunity to store their baby's cord blood. In fact, Cryo-Cell is the world’s first private cord blood bank. Later on, Cryo-Cell's banking process was licensed to companies around the globe. Those companies have grown to become some of the largest cord blood banking companies in Europe, India, Mexico and other countries, providing families in those areas access to therapies using their own child's stem cells. Beyond the current treatments, the possible uses of cord blood have not been completely defined, and clinical trials are underway for its use as a regenerative therapy in strokes, heart disease, diabetes and more. We are living in an exciting era of regenerative medicine. Stem cells are currently being studied in numerous clinical trials for regenerative purposes. Many of these studies involve cells from the umbilical cord tissue. These stem cells are being used to rebuild cardiac tissue, repair neural or spinal cord injuries, heal connective tissues damaged in sports injuries, reverse the effects of autism, Alzheimer’s and Parkinson's and build new organs. While research is still in its early stages, the possibilities are extremely promising. In 1991, scientists figured out that the umbilical cord itself is a rich source of a different type of stem cell. These cells have many special functions that fill a need in regenerative medicine. The body’s ability to regenerate tissues through its own stem cells is limited and slows further with age. For instance, a heart attack will leave behind scar tissue that lacks muscle or blood vessels. Any part of the heart, which is basically a big muscle, that can’t contract and limits the ability to pump blood could lead to further complications. Scientists are hopeful that cord tissue stem cells could one day prove effective in this type of treatment. The stem cells from cord tissue banking do share some of these benefits with cord blood but also have many benefits of their own including the ability to inhibit inflammation following tissue damage, to secrete growth factors that aid in tissue repair and to become one of many cell types found in your nervous system, sensory organs, circulatory tissues, skin, bone, cartilage and more. It is in the repair of tissues in these areas where cord tissue stem cells look promising. Is cord blood and tissue banking worth it? Saving your child’s stem cells is an investment toward your family’s future health. The value of one's health and its effects on the quality of life are difficult to quantify in financial terms. For most, it is probably priceless. Like saving for retirement when you're young or purchasing health insurance when you're perfectly healthy, the benefits of banking cord blood are not always immediate and can seem out of reach or too distant to worry about. 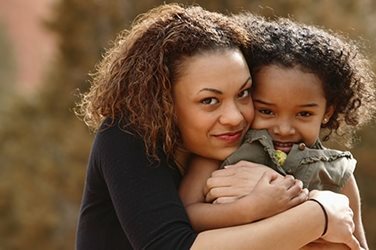 It more personally and intimately affects people who have conditions that run in their families, have seen first-hand the effects leukemia or sickle cell can have on an entire family or live with a loved one suffering from Alzheimer's or the effects of a stroke and aspire for the day when there will be ways to better treat such conditions. This is when it is important to remember that the diseases that cord blood treats can have an impact on anyone, from all walks of life, and with its potential in regenerative medicine still being discovered, it will hit closer to home for many more people as time passes. If, however, one must make economic justifications, the cost of storing cord blood and tissue is much lower than other means of trying to combat the diseases it treats. These costs go beyond the $40,000 it currently takes to retrieve a match from a public cord bank and includes the precious weeks and months it takes to try to find a public match and the anxiety during that time wondering if there even is a match. In the end, the potential return on this investment in terms of financial costs and peace of mind is high but still subordinate to the fact that it can save the life of a loved one. Still want to learn more? We are here to answer any question you may have and can send you any information about cord blood and cord tissue banking that you need.